Essex assistant coach Chris Silverwood said Kent had given his players a cricketing lesson during their three-day innings defeat in the Championship. "They showed us how to bat and it's something we need to address," said Silverwood after Essex lost by an innings and 207 runs. It was a record defeat for the county against Kent, eclipsing the loss by an innings and 205 runs in 1922. 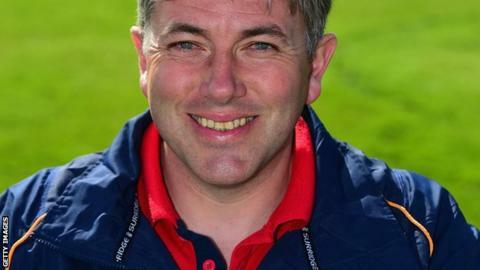 "Kent played some good attritional cricket," Silverwood told BBC Essex. "We have to learn from that." The former England seamer, 40, continued: "To get 260 on what was a very good pitch in our first innings after winning the toss was not good enough, and they showed us just how short we were by scoring over 600. "Then our bowling was indifferent for much of the time. There were some good things in there but we have a lot to work on, we're striving for consistency in our performance and we'll keep pushing them towards it. "We have quite a few batsmen averaging in the late 30s or 40, but we have to keep pushing them. We're still working on pushing our culture in the right direction, and I think we're making progress, but clearly there's still room for improvement." Essex face Kent again in the T20 Blast at Chelmsford on Friday. "What happened has to be left here," added Silverwood. "We have to come out all guns blazing. "Then we play them again at the start of the 50-over competition on Sunday. I think we can do well in that competition."